The Post-9/11 GI Bill program is comprised of multiple payments. All payments and maximum amounts listed below are applicable to individuals eligible for the full benefit (100% eligibility tier). You may qualify for in-state tuition rates if you live in the state where the school is located regardless of your formal state of residence. See our GI Bill Resident Rate Requirements website to learn more. Actual net costs for in-state tuition & fees not to exceed $23,671.94 during the academic year. The actual net costs not to exceed $13,526.81 per academic year. The actual net costs not to exceed $11,497.78 per academic year. Section 108 of Public Law 115-48 amends 38 U.S.C. §§ 3315(c) to allow for the proration of entitlement charges for licensing and certification examinations and national tests under the Post-9/11 GI Bill. Specifically, the charge against an individual’s entitlement for payment for licensing and certification examinations and national tests will be pro-rated based on the actual amount of the fee charged for the test relative to the rate for one month. 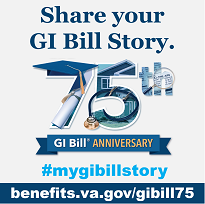 To research monthly housing allowance amounts please visit the GI Bill Comparison Tool and do a search for your school. A yearly books and supplies stipend of up to $1,000.00 paid proportionately based on enrollment.